Liquiflo is a company that specializes in manufacturing gear pumps for the chemical industry. These instructional manuals are used for maintenance purposes for when a pump is in a capacity of needing repair. Cool bright colors against a clean white background where chosen to bring a clean and airy look to an industrial based audience. Each step through out the manuals are paired with detailed photographs and charts to avoid any confusion a customer may have. 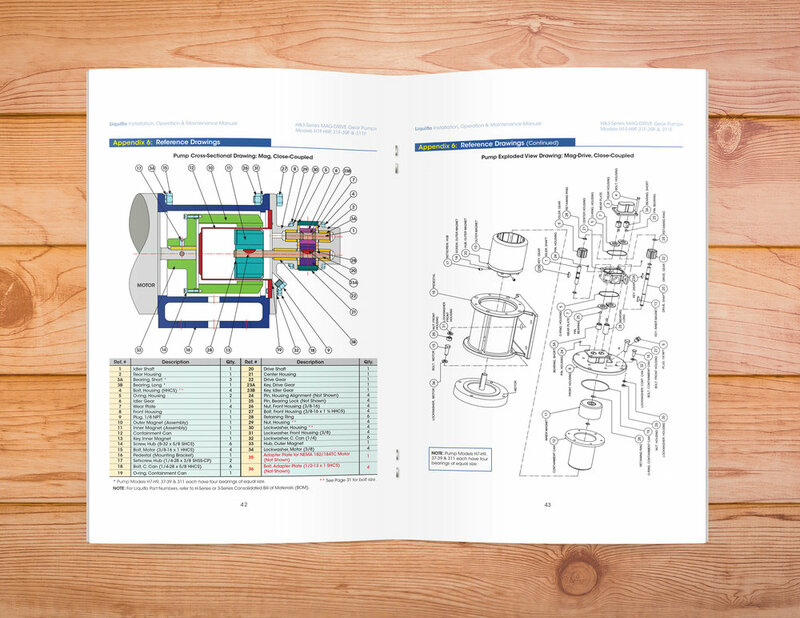 The bright colors are continued into the appendix in detailed technical drawings that were created for each particular product for an overall comprehensive manual.